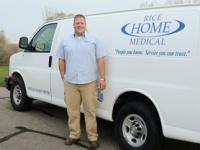 RICE HOME MEDICAL has been serving RURAL Minnesota home medical equipment and supply needs since 1988. As one of the area's largest retail provider of home health products and services, we provide superior customer service and top quality, state-of-the-art medical equipment and supplies. We take extra care in making sure that we fulfill the needs of each and every one of our customers. Customer service, Mastectomy Fitters, Compression Therapy Fitters, Mobility Specialists, and Billing Associates are available to answer your questions and work with your doctor and insurance company. We have a complete clinical dept. staffed with nurses and respiratory care practitioners to meet all of your respiratory needs. Our expert staff takes the time to give each of our customers the personal attention and service you can trust. Our staff are trained to find the right products for each individual and discuss these options to meet their needs and the physician order. Home visits can even be arranged if someone is unable to visit us. We provide ongoing follow up service to our respiratory and rehab customers as well. 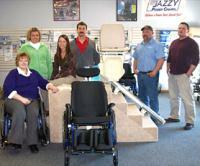 Rice Home Medical services and supplies a full line of durable medical equipment. Serving central and south western Minnesota for over 20 years.